MPs have twice rejected Theresa May’s Brexit deal. 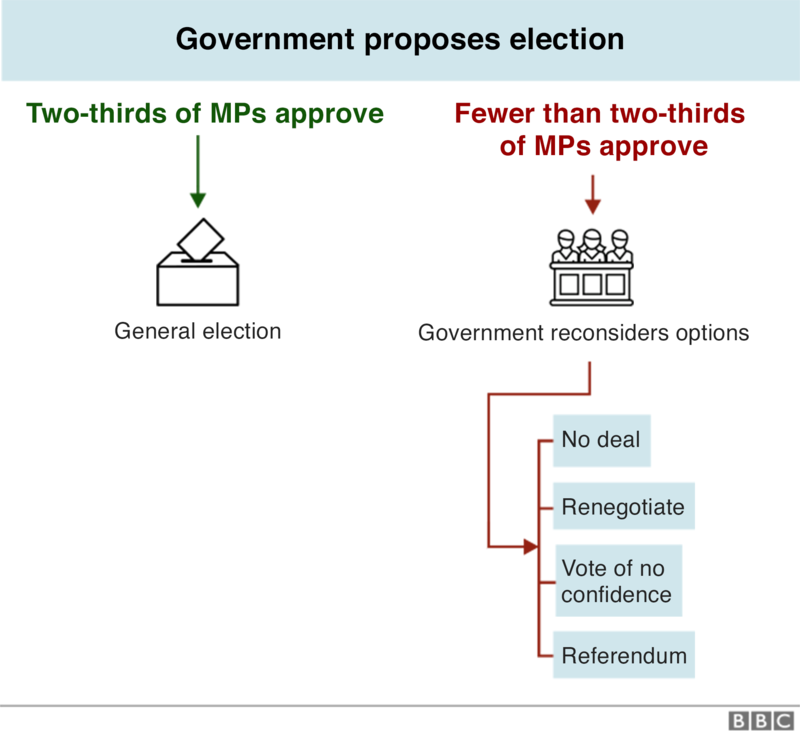 They have also voted against leaving with no deal, and voted in favour of a delay. Now MPs have backed a delay, Theresa May has to request an extension to Article 50 from the EU. Assuming the other member states all agreed, Brexit would be postponed. Theresa May has said this should be for no longer than three months. But she has also raised the prospect of a much longer extension if MPs won’t back her deal. 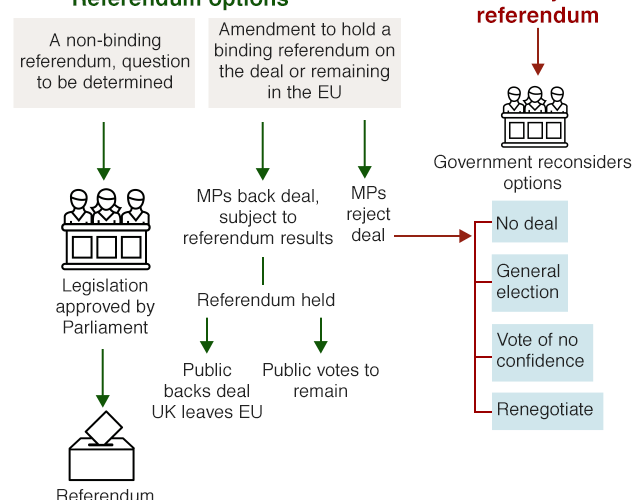 The government had planned to hold another vote before the EU summit on 21 March. If it had passed the prime minister would then have requested the short extension she prefers. But on 18 March the Speaker made a statement in the Commons arguing that there couldn’t just be a rerun of the vote on 12 March. There would either have to be changes to the deal or MPs would have to be asked to consider a different question. 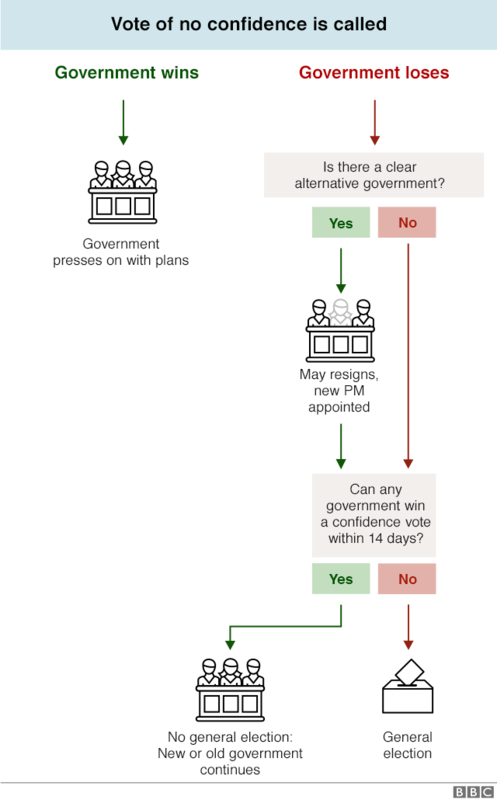 If there is a longer extension, the government could propose to negotiate a completely new Brexit deal – possibly after Parliament has had a chance to express its view about alternative deals.